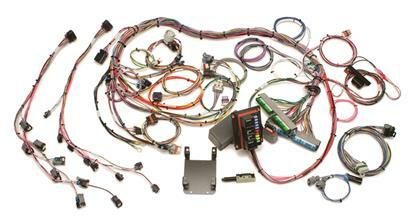 60221 - Painless Performance Fuel Injection Harnesses - MiataRoadster - Stay tuned with MiataRoadster! Those who choose to run the factory computer will appreciate the simplicity of a Painless Fuel InjectionWiring Harness. Yes, you can whittle away at the stock harness and eventually make it work, but why complicate your life? When all of our fuel injection harnesses come with a lifetime warranty. Our engineers have worked out all the potential problems ahead of time so all you have to do is follow the straightforward instructions and you’re on your way. All of the wiring is TXL, 600 volt, 125 degree centigrade rated with cross-link insulation. Every wire is also factory color-coded and labeled for easy installation. All Painless fuel injection harnesses are standalone. In the automotive aftermarket this term has been commonly used to describe fuel injection harnesses.To put it simply, “standalone” means the harness has its own fuse block and works independently, and for the most part, needs no integration with the vehicle’s existing wiring outside of an ignition switched power source. A wire found on the fuel injection harness will need to connect to an ignition switched power source on the vehicle that will be “hot” in the Start and Run positions.This will activate the pre-wired ignition relays found on the fuel injection harness which will provide all the necessary power to the ECM, injectors, oxygen sensors, etc. Since you are simply activating relays, there is no chance of overloading any existing circuits on the vehicles chassis harness. Furthermore, since the fuel injection harness contains its own fuse block, no modifications to your vehicles existing chassis harness is needed. 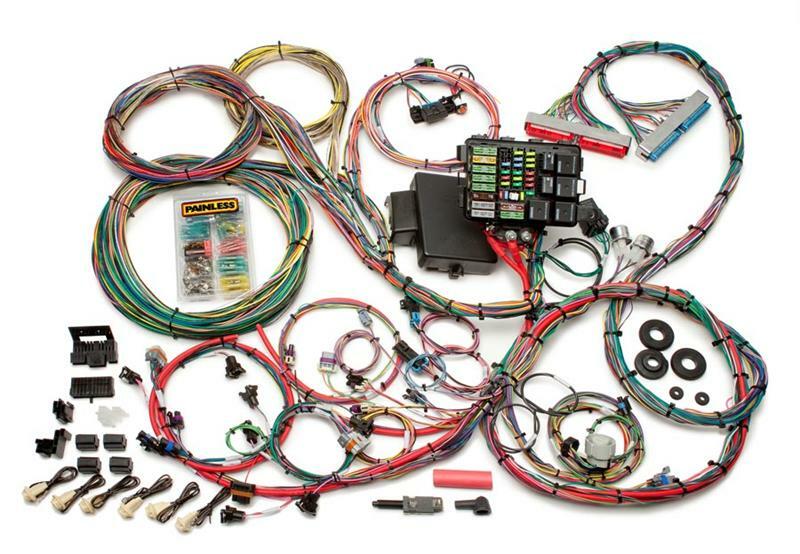 The only thing that will determine what fuel injection harness you require is the year and model of the engine or vehicle the engine was originally in. Many of our more popular harnesses have two separate length options to allow for ECM placement. Our standard length harness will have about 4 feet of wire from the back of the engine to the ECM connector(s). These harnesses are perfect for those mounting the ECM in the engine compartment or under the dash. Our extra long versions will have about 8 feet of wire from the back of the engine to the ECM connector(s) to allow the ECM to be mounted under a seat or in a center console. Take notice to the length you may need as this will affect which part number you require.